In her new book published in April, seismologist Lucy Jones examines major natural disasters of the past with an eye toward planning for and mitigating the consequences of similar events in the future. 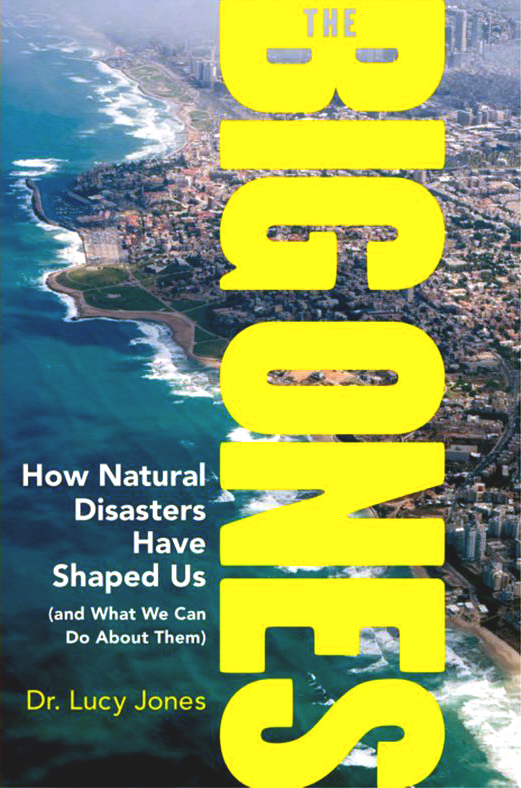 The 256-page book, The Big Ones: How Natural Disasters Have Shaped Us (and What We Can Do About Them), examines the aftermath of the California floods of 1862, the first-century eruption at Pompeii, the Indian Ocean tsunami of 2004, and other major catastrophes for valuable lessons. Jones, a visiting associate in geophysics at Caltech who served as a seismologist for the U.S. Geological Survey for 33 years, also looks at how natural disasters have shaped religious beliefs and cultures as well as changed the course of history. It also explores how psychological factors, such as a fear of randomness, or societal problems, such as racism, can distort how we think about and respond to disasters.